A few exascale machines are scheduled to become operational in the next couple of years. Reaching such achievement required the HPC community to overcome obstacles in programmability, power management, memory hierarchy, and reliability. Similar challenges are to be faced in the pursuit of greater performance gains. In particular, design of interconnects stands out as a major hurdle. Computer networks for extreme-scale system will need a deeper understanding of the communication characteristics of applications that will run on those systems. We analyzed a set of nine representative HPC applications and created a catalog of well-defined communication patterns that constitute building blocks for modern scientific codes. Furthermore, we found little difference between popular community-detection algorithms, which tend to form few but relatively big communities. 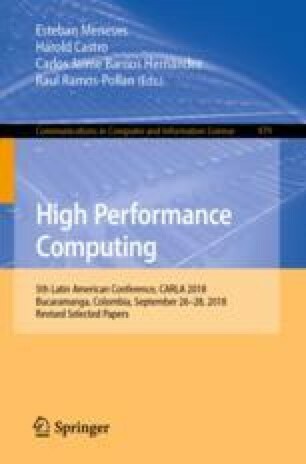 This research was partially supported by a machine allocation on Kabré supercomputer at the Costa Rica National High Technology Center.